Digital marketing requires thinking ahead, research, and preparations. It’s not all just posting on Facebook and ‘the Twitter.’ While we are all still getting ready for our holiday strategies, it’s a good idea to start looking at what next year will look like for your business. If you’ve never planned for a whole year’s digital marketing strategy, don’t stress. A true marketer will always adjust their plan if and when needed. However, there are a few things you can do these next two months to help you get ready for some things you know will be needed. For example, you can plan for holidays and how you want to feature them in your marketing, and you can plan for those holidays that have some possible controversial backlash such as Columbus Day or cultural holidays like St. Patrick’s Day or Cinco de Mayo where sometimes brands don’t do the proper research and end up making fools of themselves. You also may want to look at what 2018 is going to look like in terms of society, what new technology is coming out, and how people are getting their information and advertisements. You can also look at entertainment plans for 2018 because often times, as a brand, talking about something in the entertainment or sports industries can lead to audiences you normally wouldn’t be able to reach. With a projected 2.53 billion people owning a smartphone in 2018, and 237.6 million in the United States alone, incorporating a customer engagement strategy will prove very beneficial to brands. Settling on a tone and voice, understanding how your brand will respond to positive and negative comments, why types of relevant posts you will respond to and how, and more will add a more personal aspect that audiences will appreciate. Having this in mind, really think about your team here. A lot of people forget that social media doesn’t end at the end of a work day, and it’s in fact 24/7. You also want to think about your audience and when they’re online the longest. With people spending anywhere from 3 to 9 hours a day on social media, you do have some flexibility in terms of when to post, because with micro-moments, you’re trying to reach people during prime times so you can engage organically. Think about it like going to a crowded room, and your goal is to tell people about an upcoming concert. Sure you could just sit in one spot and hope people approach you, but if you look around maybe you see someone wearing a band shirt that’s similar to the concert you’re promoting. Then you could strike up a conversation about the band and eventually mention the concert. They’re more likely to feel compelled to go if they feel genuinely invited. Same thing with social media, you can see who is talking about literally anything you can name, and respond. Your network is larger than you realize, you just have to network. I’ve seen a lot of people get freaked out when they hear ‘Artificial Intelligence” and I don’t understand why. We’ve been living with artificial intelligence for years. This is nothing new. Just the machines and programs performing the ‘artificial intelligence’ have gotten quicker, smarter, and flat out wicked cool! I don’t know about you, but I like the fact that my phone literally REMINDS me that I don’t have an alarm set on a Sunday night around 8pm. From a marketing perspective, basically this means the way information is brought to you will be gathered differently. How can you use this to your advantage? Well, there are many ways, but one major way is you can really personalize and enhance your customer’s journey. You can use AI-powered programs that will basically handle this for you, and what it’ll do is it will find platforms that you normally wouldn’t have even thought about. This works a lot with PPC (Paid Per Click) campaigns and it really gives you the best bang for your buck. Only downside: It could cost you a lot of bucks. But long term, it’ll be worth the investment if executed properly. We’ve long been advocates of the importance and rise of video marketing. “By 2019, 80% of global Internet consumption will be video content.” Knowing this, you can bet that video marketing will be vital to your digital marketing success. Many people hear ‘video marketing’ and they immediately think of commercials. While that’s one way you can go, there are several types of videos you can create for your business that will benefit your strategies. For example, if you sell a product that needs to be installed or put together, you can create instructional videos that will visually explain the instructions. You can also create a brand video that explains how and why you started your business, and really add some personality flair for potential customers. That’s a lot of people who are looking for great video of a product before they purchase. Make sure you’re ahead of the game with video marketing in 2018! If you’re still posting content without a visual, you’re behind the times and you need to adjust your strategy. The statistics regarding the psychology of visuals and how they pertain to consumers aside, the percentages of how much businesses invest into visuals are staggering. “37% of marketers said visual marketing was the most important form of content for their business, second only to blogging (38%).” This was just in 2016, only 2 years ago. The same report also claims that “74% of social media marketers use visual assets in their social media marketing.” Isn’t that crazy? Many people automatically think this only means photos, but that’s not necessarily true. From graphics to gifs, infographics to cinemagraphs, there are tons of ways you can incorporate a variety of visual assets to your digital marketing strategy for 2018. Ahh yes, the world of messaging. Now, depending on where you look, many sources are claiming the world of messaging as part of what’s now called, ‘Dark Social.’ All this really means is the information people share via private networks such as the messaging features on most social channels. It’s referred to as ‘dark’ because as marketers we cannot analyze what’s being shared, so we’re basically blind to it. However, brands worldwide are starting to utilize these messaging features. Some are going so far as to use Chatbots. Now, if you’re like me, you kind of get annoyed when you follow someone on Twitter and get what’s called an Auto-DM (Auto-Direct Message) saying something like ‘Hey thanks for following! I wanted to share this great article I just wrote and let’s connect on Facebook!’ and they send you a bunch of links. However, the numbers don’t lie. Over 80% of people actually open these messages, and more than 50% of them click through the links (Source: Neil Patel). With these numbers in mind, we highly recommend you really pay attention to your messaging. Be authentic, and genuine. Try to personalize the messages as much as you can, people want to work with people, so be a person! “According to Business Insider, 80% of companies want to integrate chatbots into their strategy by 2020.” If you do decide to explore the Chatbot world, do your research and find a program that resonates with you. Not all programs are created equally and not all of them have your business’ best interests in mind. As you can probably already gather, marketing has grown into a multi-faceted system. From content creation to engagement, you’re really in a world where you can be a part of a customer’s journey from start to finish, and even after they’ve purchased something or gotten a service from you. However, everything that goes into this process, is getting harder and harder for just one or two people to handle. Within many businesses, there is a sales team and a marketing team, but as 2018 draws near it’s predicted that these two teams really need to work together. “So instead of competing for ad space and buying slots, you focus on developing your blog, SEO presence, and social media platforms,” Neil Patel explains in his blog about Inbound Marketing Trends in 2018. By having your marketing and sales teams work together, you can target your strategies more narrowly to people who are already interested and ready for a business like yours. You may see ‘Content Marketing’ and think, “Isn’t that what this whole blog is about?” While, yes, technically that may be true, content marketing is a lot more in depth. Curating blogs, case studies, white papers, power pages, and more, take a lot of time, research, editing, research, editing, research, and so on. We are no longer in the world of weekly 250 word blogs. We are in the world of well thought out, multi-visual assets included, 500+ word, and have an actual point, blogs. Did you know that 70% of consumers would rather learn about a product from a blog rather than an advert? That’s a lot of people who would rather feel talked with, rather than talked to. Also, 82% of people feel more positive about a product after reading custom content. So make sure your content is real, honest, and personable for your audience. When it comes to content marketing, your goal is finding topics you can write or talk about that people will actually want to read that relates to your business. The world of content marketing also goes further when you start to work in SEO, backlinking, and working in visuals. U.S. social media ad spending is projected to reach $15 billion in 2018. Now, the rate for ads has increased quite a bit as well, and as unfortunate as that is, it’s to be expected. With Facebook exploring the world of ‘split feeds,’ it will be evermore vital to include paid ad campaigns and strategies into your 2018 digital marketing plan. You’re really going to want to do your research here, too, because you want your money to really work for you. This means market research, industry research, audience research, and more. Just to give some perspective, 24% of Fortune 500 companies are projected to budget $10,000 to $50,000 for social ads. “75% of B2B customers use social networks to make a decision to purchase.” (Source: Digital Marketing Magazine) From a B2B perspective, utilizing social media marketing and paid ads are going to need to be one of your top priorities come 2018, if it’s not already. 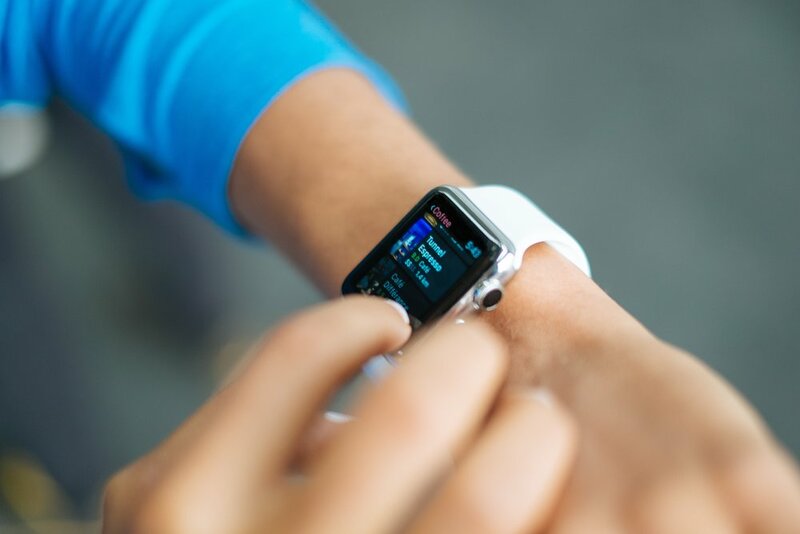 “250 million wearables predicted to be in use by 2018” means a lot of opportunity for marketers. From Apple watches to FitBits and everything in between, and everything that hasn’t even come out yet, it’s a good idea to start exploring this world a bit and see if there will be ways you can utilize this medium for your business. We as a society are already ‘attached’ to our phones, but as wearables grow, it’s just going to become a bigger market. If you have a team that focuses on mobile advertising and marketing, encourage them to set aside some time to micro-test marketing targeted towards wearables, and really do some research about what’s already working, what’s not working, and think outside the box when building your strategy. If your business isn’t utilizing the stories features on social channels, you may want to consider it. It’s not necessarily fit for every business, but it’s certain lucrative if it is right for yours. If you’re not sure what ephemeral content is, it’s the content that is shared for 24 hours and then it’s gone. Snapchat stories, Instagram stories, and now Facebook stories are ephemeral content. These mediums are a great way to practice storytelling, and increase engagement. There are over 250 million stories shared every day, so you want to make sure yours will stand out. Take some time to plan out what your story will be, and experiment with different ways of sharing. Also, take the time to look at other stories; your audience will give you a lot of inspiration, and engaging with them will cause reciprocation. While you may see many articles like these coming out leading up to 2018, it’s important to look at a variety of sources and really sit down with your teams to go over your findings. You want to be prepared, and you want to have some plans in mind. Brainstorm, experiment, adjust, and keep trying when it comes to your digital marketing plan for 2018. Krystal's career background ranges from public relations to SEO strategy to social media management. 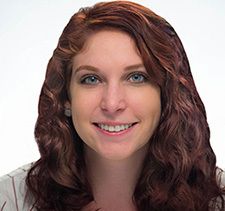 She believes her journalism concentration from her Mass Communications degree from the University of South Florida St. Petersburg allows her to better understand the marketing industry and how to communicate with people both in person and digitally. Krystal likes puns, hula hooping, comic collecting, and socializing or attending networking events. Older PostWhy Do Companies Start Holiday Advertising So Early?